When I played my Nintendo Wii gaming console for the first time six years ago, I started by checking out the online service channels that come pre-loaded on the system, like the “Everybody Votes Channel.” If my memory serves me, that day also marked the last time I ever checked out those channels. It turns out I wasn’t the only person who found the default Wii channels lacking. In a move that signals the end of a gaming era, Nintendo announced that it will soon discontinue most online service channels that come bundled with the Wii gaming console. Effective June 28, the following Wii channels will cease operations: Nintendo Channel, News Channel, Forecast Channel, Everybody Votes Channel, and Mii Contest Channel. Nintendo will also be disabling the ability to send messages to other Wii owners as part of the service shutdown. “Services other than those mentioned” will remain unaffected, Nintendo says. To be fair, most of the channels being shutdown aren’t especially interesting – not a lot of people rely on a video game console to tell the weather or read the news. Low interest on the part of players almost certainly factored into the decision to shut them down. The popular Wii Shop Channel will remain open, allowing you access to the downloadable games you’ve already purchased. 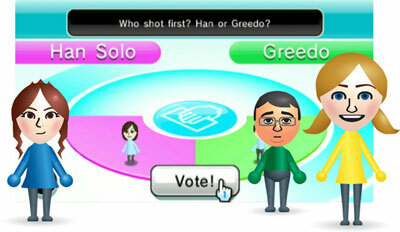 It’s not immediately known how this will affect the online play of still-popular multiplayer games like Mario Kart Wii. Online enabled video game consoles are still a relatively new product – Nintendo doesn’t really have a road map telling them how to shelf the aging Wii without upsetting the millions who still enjoy the console. Not many tears will be shed for losing the “Mii Contest Channel,” but eventually, Nintendo will have to cut services that players will actually miss. The Nintendo Wii gaming system was released in America in November 2006 and has sold 100 million units since. The bulk of Nintendo’s effort will now shift to the Wii U, the struggling next-generation console released by Nintendo late last year.